The project by our Business Design student Ioana Crasovan is a finalist in the awards held by L’Agència Catalana de Residus. During this autumn we will know if this project wins the award for the Young Design section inside the Product under Development category. Catalunya Ecodisseny Awards 2017 seek for projects that use design as an environmental and social change agent. 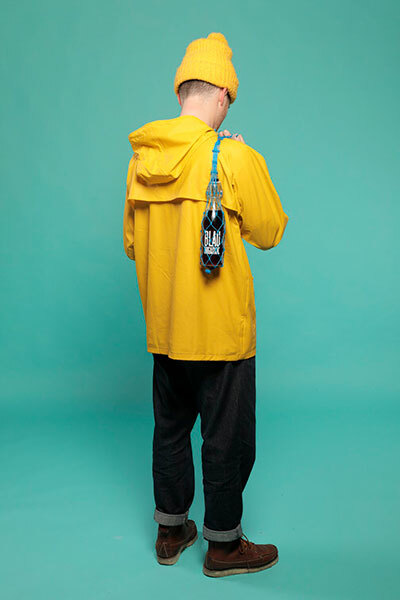 Blau Orgasmic is a reusable cork and bag for carrying wine bottles made from old fishing nets collected from the Port of Barcelona. The project is part of the initiative Organic & Orgasmic organised by La Festival wine shop, which, along with the product, proposes a communication strategy promoting a circular economy, sustainable consumption, and the reuse of discarded fishing nets, and raises awareness of social responsibility. Congratulations and good luck to Ioana!